An interesting design with the front having a all white appearance, but the back being a trendy Rose Gold. 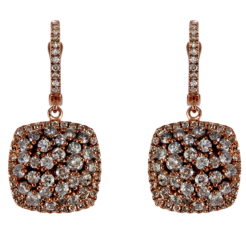 The Diamonds are set in a pave style and are very fine in Diamond Quality. 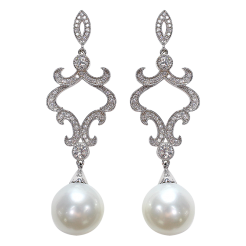 The unique shape of the Earrings makes them incredibly fashionable and could be worn everyday.